One of the best times to visit the Garden is after hours and on three recent consecutive nights I came through the locked gates around 8.00 p.m. carrying some pretty specialised equipment. The first night I was all alone in the Garden and made my way to the Main Pond. The first job was to open up the magic box and set it to record, screw it all together again, attach an ultrasonic microphone and install it up a pole. I was not alone on the second night and made my way through a crowd of kilts and frocks attending a wedding party. This state of the art bit of equipment was an AnaBat which records bats echolocating, allowing species to be identified and generating some information on what they are up to – feeding or social chat. Over the three nights we recorded and identified four species of bat – two of which had not actually been recorded before in the Garden. Two species of pipistrelle bat were present – the Common Pipistrelle (Pipistrellus pipistrellus) and the Soprano (Pipistrellus pygmaeus). Bats are distinguished from one another by the frequency of their calls and other characteristics of the call. 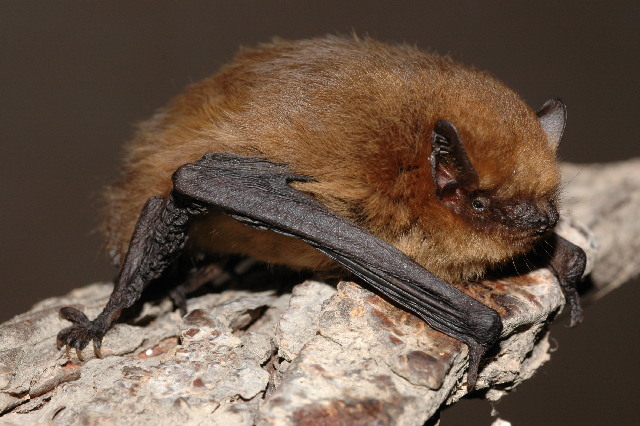 The Soprano Pipistrelle echolocates at around 55 kHz and the Common Pipistrelle at around 45 kHz. It was good to see the Sopranos were present as they tend to be more discriminating in their choice of neighbourhood. It was also pretty good to record Brown Long-eared Bats (Plecotus auritus) which are known as ‘whispering bats’ as they echolocate very quietly and feed moving slowly through foliage and picking off insects so they can be difficult to pick up with an AnaBat. 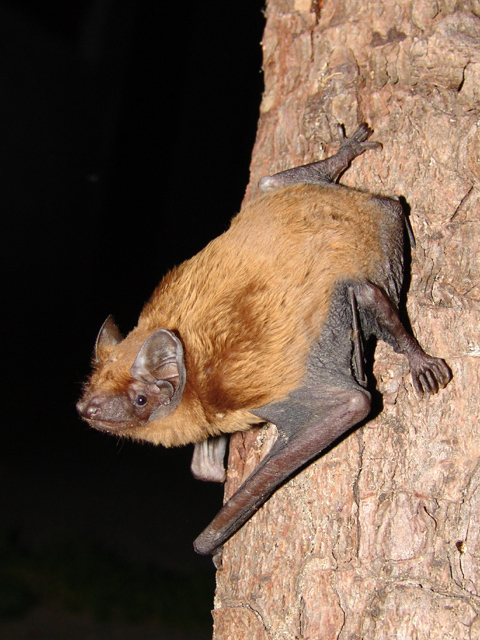 The last species identified was a single pass of a Noctule bat (Nyctalus noctula). These are big, noisy bats with strong flight which often emerge before dark when they can almost be confused with Swifts flying through the night sky. Also caught on the recordings was a species of the genus Myotis, possibly a Daubenton’s (Myotis daubentonii), a Natterer’s (M. nattereri) or a Whiskered Bat (M. mystacinus) – unfortunately the species could not be identified from the AnaBat recording. Whichever one it was, it would be a third new species record for the Garden as no member of that bat genus has previously been recorded there.